Stop hoping that Pluto will regain its former designation as a planet. It isn’t going to happen. But the good news is, Pluto is something much cooler than a mere planet. It’s the largest dwarf planet we know, and one half of the first binary planet system. Pluto didn’t get demoted, it got promoted. We’re all feeling the Pluto-love, with all the new data flowing in from the New Horizons probe. I keep getting asked, “When will we get the ‘Pluto is a planet again!’ article? Or is it silly and nostalgic to hope?” That article isn’t coming—but instead of sorrow over Pluto losing its old title, I’m celebrating all the awesome titles getting piled on to this little world after its reclassification. I am in love with Pluto and all its moons. I love the weirdly young surface. I love its strange thermal-driven geomorphology. I love that I’m constantly surprised by all its mysteries. But Pluto isn’t a planet, and I’m happy for it. Ever since Pluto’s reclassification as a dwarf planet, it’s been piling on far cooler titles. See for yourself! Instead of being the very smallest planet, Pluto is confirmed as the largest dwarf planet. We had trouble measuring the world’s size from afar due to the haze of its thin atmosphere creating a fuzzy mirage. The New Horizons probe finally pinned down its size: 2,370 kilometers (1,473 miles) in diameter with a potential error of ±20 kilometers (12 miles). This means that Pluto is the undisputed largest dwarf planet. 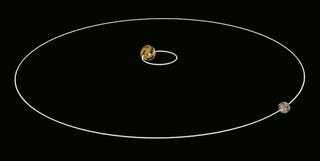 The next in line is Eris, with a diameter of 2,336 kilometers (1,451 miles) with an error of ±12 kilometers (7 miles). Even if Pluto is at the very smallest end of its potential size range and Eris at the very top of its range, Pluto still comes out bigger as the largest dwarf planet. This also means Pluto is slightly larger than our earlier estimates—which means that it is a bit less dense, with a larger proportion of ice layered onto the active world. A deeper layer of ice means, in turn, that the troposphere is lower than our previous atmospheric models. The weirdest bit is that this also means that Pluto is less dense than Eris, which is smaller yet heavier. For all the strange wonders we’re finding at Pluto, whatever is going on at the next-largest dwarf planet Eris is going to be entirely different. The dwarf planets in our solar system are located in two places: in the main asteroid belt between Mars and Jupiter, and in the Kuiper Belt beyond Neptune. Like the main asteroid belt, the Kuiper Belt is full of dwarf planets, jagged asteroids, and shards of ice. Being largest of the dwarf planets also makes Pluto the de facto King of the Kuiper Belt. Classifying objects serves a function by organizing similar objects together to make them easier to analyze. Despite our nostalgic affection for classifying Pluto a planet, its dramatically eccentric, inclined orbit makes it stand out as the outlier in a game of, “Which of these is not like the others?” Instead, the dwarf planet is the namesake for an entirely new class of solar system objects: the plutoids. Plutoids are dwarf planets outside of Neptune’s orbit. These trans-Neptonian objects have highly elliptical orbits that send them on journeys outside the plane defined by the rest of the planets in our solar system. As dwarf planets, these bodies are massive enough to be near-spheres, but not so massive that they clear out their orbit. In a more technical definition, every plutoid is massive enough that their self-gravity overcomes rigid body forces so they’re in hydrostatic equilibrium (aka, spherical), but not massive enough to gravitationally dominate their orbit. While some moons are big enough to border on dwarf planets, any satellite of a plutoid is a moon, not a plutoid. Pluto and Eris are both plutoids with orbits farther out than Neptune. But Ceres isn’t a plutoid because it’s located in the main asteroid belt between Mars and Jupiter. Haumea and Makemake are also plutoids, and Quaoar might be one. Sedna may be a plutoid, but it doesn’t have a moon so we won’t know its mass (and thus if it’s massive enough to be a sphere) unless we send a probe out to investigate. It’s also possible that Neptune’s largest moon Triton is actually a former plutoid that was captured into orbit around the gas giant. Pluto is also the namesake of plutinos, which are any trans-Neptonian object of any size that are in orbital resonance with Neptune. Most plutinos have an orbital period about 1.5 times that of Neptune, clustering with an average of 247 years to make a complete trip around the sun. Along with Pluto, other plutinos include Orcus, Ixion, Huya, and an entire scattering of objects that still wear more dull monikers like 2002 VR128, 2004 UX10, and 1999 TC36. By far the coolest title Pluto has earned isn’t a solo title, but a joint honor shared with Charon. Charon is Pluto’s largest moon: at half the diameter of Pluto and 10% of its mass, Charon is the largest moon in relation to its primary world in our entire solar system. Charon is big enough that if it weren’t orbiting Pluto, it’d be a dwarf planet in its own right. The mass ratio between parent and moon for Pluto and Charon is 10:1, far closer to parity than the usual hundreds to one of terrestrial planet-moon systems, or the thousands or even tens of thousands to one of the mass of gas giants to their diminutive moons. 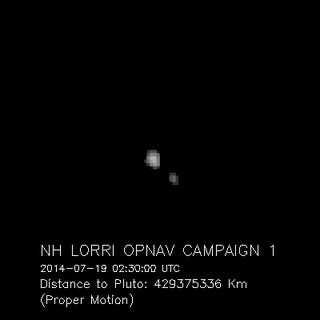 That’s where things get interesting: Charon orbits Pluto, and Pluto orbits Charon. The center of mass between the two worlds — the barycenter — is in empty space, not nestled within Pluto’s rocky core. This goes beyond the distinct wobble that our moon induces in Earth’s orbit—instead, this creates a distinct point that both Pluto and Charon orbit around. When it comes to stars, any time the barycenter of two stars’ orbit is beyond the surface of the primary object, and is instead out in space somewhere, that’s enough to declare them a binary star system. The same is true for asteroids — we’ve found asteroid pairs with barycenters outside both rocks, and declared them binary asteroid systems. Since the barycenter of Pluto and Charon is an empty point in space, surely that means that Pluto-Charon a binary planetary system. This would make Pluto and Charon not only the first binary planet system in our solar system, but the first one we’ve found among the literally hundreds of Kepler exoplanet worlds. One final argument in favor of listing Pluto and Charon as a binary dwarf planet system is that they are the undeniable pair dominating all the little moons. Nix and Hydra are the larger of the remaining moons, but are just a tiny fraction of a percent of the size of Charon. Styx and Kerberos are even smaller yet. This family of tiny moons doesn’t even orbit Pluto directly: they all orbit the barycenter between Charon and Pluto. The dance of the tiny moons is even stranger than just the fact that they orbit Pluto-Charon: they also interact with each other, inducing severe gravitational wobbles when they get too close in a bizarre dance we’re just starting to understand. Charon may receive consideration because Pluto and Charon are comparable in size and orbit each other, rather than just being a satellite orbiting a planet. Most important for Charon’s case as a dwarf planet is that the centre of gravity about which Charon orbits is not inside of the system primary, Pluto. 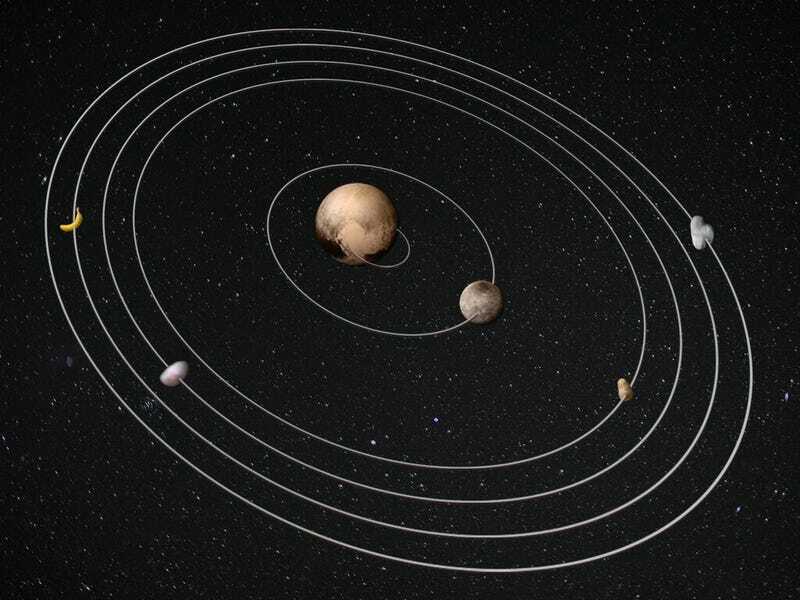 Instead this centre of gravity, called the barycentre, resides in free space between Pluto and Charon. The IAU considered a proposal to name Pluto and Charon as a binary system in 2006. It was neither accepted nor rejected, but instead was merely abandoned, as they went on to more pressing issues of nomenclature and classification. That leaves the organization open to giving Pluto and Charon their rightly-earned title as the first binary planetary system, and the first binary dwarf planets. Pluto doesn’t need to be a planet to be cool. We already have eight planets. Instead of being the smallest of the four rocky, terrestrial worlds, Pluto gets to be something truly special. It’s a geological mystery, the first Kuiper Belt object we’ve ever studied, and a constant source of scientific surprises. With all these awesome titles — the most massive dwarf planet, the namesake of an entire classification of solar system objects, and the primary body in the first binary planetary system of any variety — Pluto was never downgraded. Instead, it was upgraded to become something far more interesting.